There are two different routes you can take, each involve an investment on your part, and have their own distinct advantages. There has never been a better time to become a professional truck driver. Wages are increasing, technology is improving, and companies are learning to appreciate and value drivers who are truly "professional". Getting started in the industry is easy, but being truly successfull takes planning, determination, and professionalism. The team at Drive Forward Solutions is here to help you make the most of your journey into a new career. Here are a few things to think about as we get started. Committment- Any good career takes comittment to be truly successful, and trucking is no different. If you can committ to the following things, you can make your driving career a success. Income Forget any hype that you may have been told about making 60-80k per year right out of graduation. That is seldom, if ever possible. A fresh out of school driver generally makes $27-40k depending on where they live and what company they choose to work for. In some cases you will make less until you have paid your company back for the training they provided. If you can handle making 30-35k per year for your first two years, then you are ready. Home Time The cold reality is that new drivers are lucky to be home for 2-3 days per month. The rest of the time is life on the road. 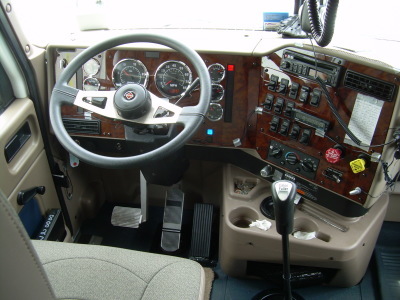 If you can live in a truck for the majority of the first 6-12 months, then you are ready. 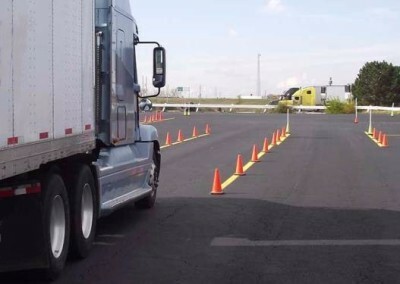 Safety When it comes to safety, the trucking industry is constantly being scrutinized by the DOT, and a plethora of watchdog groups. Truck drivers are not only expected to be the safest drivers on the road, recent regulations all but require it. If you want to drive fast, aggressive, or careless, you need to look elsewhere. If you can be comply with regulations and be safe at all times behind the wheel, then you are ready. If you can handle those three things, you can expect to have improved home time within 6-12 months, and in 2 years you will have plenty of opportunities (with higher pay) to choose from. After 5 years of safe driving and maintaining a stable work history, you should be making an average of 70-80k per year. Training- There are two different routes you can take, each involve an investment on your part, and have their own distinct advantages. Let's take a look at them. 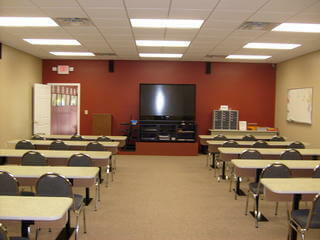 Independent Driving School The ideal option is to attend a good well-accredited truck driving school. There are many to choose from and the prices can range from $2k to $10k for programs averaging between 2 and 8 weeks. There is certainly a benefit to longer training programs, as you spend more time in a structured training environment, and are able to test your skills a bit longer. There are many great private schools, but the programs offered by local community colleges tend to offer the best training for your investment. Tuition assistance is readily available at most institutions, and if you know who you plan to drive for, companies will often sponsor your program if you make an employment comittment. There are also Federal and State programs that can often pay for some or all of your tuition, most schools will share information regarding the programs they have available. Upside- Upon graduation, you can go work for any company accepting fresh graduates. Downside- It may cost you some out of pocket $$$. Carrier with Accredited School Some of the larger carriers have their own accredited programs. While there is generally no out of pocket cost for these schools, they do require you to work for the carrier for a set period of time to offset the costs they incurred in training you. These commitments involved signed contracts that legally bind you to fulfill an employment term averaging between 6 and 12 months. If you fail to do so, the total cost of tuition will often be levied against you as a student loan in default, and many carriers will not hire you as a result. These are only a few of the things you need to be aware of regarding your contract, each company has it's own unique program. Please understand everything you are committing to before signing. Upside- Little or no out of pocket costs. Employment is nearly guaranteed. Downside- Big committment to a single employer. Financial repercussions if you do not. We hope that you find this information useful. Regardless of the course you take in training for your CDL, it is important to get feedback from truckers who have taken the same route. If you have any questions, you can give us a call and a transportation career advisor will be able to get you Driving Forward.